This is the fourth in a series of “Oregon Updates” that we will be sending to IAMCR members and IAMCR 2018 participants. This fourth update was sent on 2 May, 2018. The earlybird registration period for IAMCR 2018 will end soon. On 8 May, registration fees in all categories will increase by 80 USD. If you are a not a member of IAMCR or if you haven't paid your 2018 membership fees and want to take advantage of the lower fees for members, please do not wait until the last minute - it may take up to two business days to process your application and activate your membership so you can register. 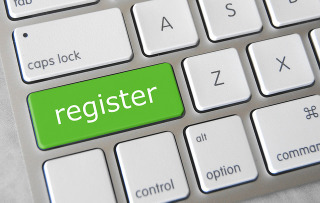 To register now, go to https://iamcr.org/register2018. Seventeen travel grants to defray the cost of attending IAMCR 2018 will help early-stage scholars who are members of IAMCR from low and middle income countries. The winners include 12 women and 5 men from 13 different countries. Read more and see the list of travel grant winners at https://oregon2018.iamcr.org/travel-grants. Two early-stage media scholars, co-authors Toussaint Nothias and David Cheruiyot, will be awarded the 2018 Stuart Hall Prize for their joint paper "A 'Hotbed' of Digital Empowerment? Media Criticism in Kenya: Between Playful Engagement and Co-option". The award ceremony will be held during the Conference’s second plenary session on 22 June at 10:30. The winning paper will be presented in IAMCR's International Communication Section on the following day at 16:00. The paper investigates the #SomeoneTellCNN social media campaign that challenged CNN's representation of Kenya. Read more and download the paper at https://oregon2018.iamcr.org/hall-award. What is a Green Gala Dinner? IAMCR 2018 participants will find out that it includes "Pacific Northwest cuisine", locally grown produce, natural beef with vegetarian option all served on compostable plates and utensils and accompanied with craft beers and Oregon wines. https://oregon2018.iamcr.org/gala. IAMCR's Committee for the Improvement of Academic Life (CIAL) is undertaking an exploratory project on precarious academic life. Widely discussed and debated, precarity is a major challenge to the conditions, sustainability, quality, and future prospects for academic life, including in our field of media and communications. As part of the project, CIAL will convene a special session on ‘Precarious Academic Life’ at IAMCR 2018 Eugene conference. There are still 2 places available on the panel. Contact Cherry Baylosis - cherry.baylosis (at) sydney.edu.au - if you're interested in the panel or want to participate in the project. Read more at https://iamcr.org/cial/precarious-life. Read the third update that was sent on 11 April, 2018. Read the second update that was sent on 26 March, 2018. Read the first update that was sent on 26 February, 2018.